Carol is Director of the school, providing administrative direction and student advisement at the Hudson campus. She is a licensed massage therapist by the Commonwealth of Massachusetts and State of New Hampshire. Carol instructs Emergency Procedures, Health Service Management, Integrated Techniques, and Neuromuscular Technique. 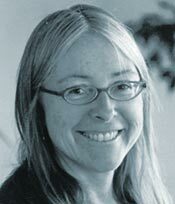 In addition to being a graduate of NHITA, Carol also holds a Bachelor of Arts from the University of Maine and a Master of Science in Administration from Boston University. 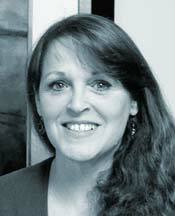 Carol maintains a private practice in Andover, Massachusetts. "When I decided to leave the technology industry and become a massage therapist, it was very important to me that I get the best training possible. NHITA provided that and more. In addition to learning healing massage techniques, NHITA provided me with a solid foundation on the business of massage. As an instructor, I am pleased and excited to share my experiences with students as they enter this rewarding profession. " She came to massage therapy after 15 years as a CPA. After graduating from NHITA in 1995, she pursued further education in the field of nutrition and has since added RD to her credentials. In her position as Associate Director, Karen acts as an advisor to the school, involved in everything from curriculum development to management planning. Having taught every course within the curriculum she serves as a substitute instructor when called on. "Teaching is the ultimate pursuit for me. I love to make complex subjects easy to learn through humor and play. For me watching people develop a passion for this great profession is its own reward." 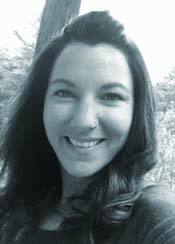 Through Heather's education at NHITA and her natural sense of compassion, she has learned to use an integrative approach; combining intuition and technical skill at her private massage practice in the Lakes Region of Maine. She is a licensed massage therapist and has been a professional member of the AMTA since 2017. She was inspired by her experience from attending NHITA to join the faculty and pass along the education that she so gratefully received while maintaining her own private practice. "Teaching Swedish technique gives me the ability to provide our students the first introduction to hands on, soft tissue manipulation. It is a joy to see each student's knowledge grow and thrive in a career path of their choosing. I am blessed to be able to pass on my passion and understanding to the students of NHITA and to be a part of their journey." Dr. Caldwell graduated from the National College of Chiropractic in 1976. 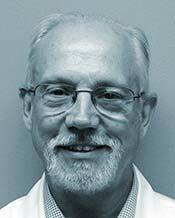 He holds certifications in Massage Therapy, Myofascial Release Therapy, Disability Evaluation, and Clinical Nutrition. He works as an instructor for the International Foundation of Nutrition and Health, teaching other health care providers how to evaluate and treat nutritional deficiencies, toxicities, and organ dysfunctions. He has pioneered a different form of integrated bodywork called 'Sequential Mobilization Technique'. He is the originator of the 'Lung Pump' - a technique designed specifically to eliminate accumulated mucus from a person's lungs, through coordinated body movements and breathing. "As a teenager I worked as a psychiatric aide in the New Hampshire State Hospital, attending to the needs of schizophrenics, alcoholics, drug users, and the criminally insane. My first two years in college were in a seminary, studying theology from which I left and became a cultural anthropologist. Chiropractic was next on my list of studies. It seems that I have spent my whole life studying human beings and human nature, in order to find ways to help ourselves and those whom we care for to live a happy and fulfilling life." RJ is a New Hampshire state licensed graduate of NHITA who maintains a private practice and an associate practice with a local chiropractic office specializing in sports & trauma related injury, postural alignment, and sensory treatment for Autism. She is also a nationally certified educator of infant massage by CEIM and an internationally certified infant massage instructor by CIMI. Along with technique courses RJ also instructs in Ethics, Reflexology, Kinesiology, and Clinical Assessment. "I couldn't possibly be more passionate about massage! The education I received attending NHITA, working and learning daily in my private practice, and working alongside a generously gifted chiropractor, have all been such rewarding experiences. It is a privilege to share my passion and experience with the students of NHITA. From the first days of Swedish, on to the exploration of muscles, ending with the last days of Clinical Assessment, it is such a joy to join in the journey and exploration of this giving profession and watch the development and evolution of each student's skills, knowledge and individual passions." Ellen, approaching twenty years as a massage therapist, finds that her practice is a natural extension of her previous education and work experience in business and the sciences. A 1997 NHITA graduate, she has completed advanced training in Orthopedic, Myofascial, Oncology Massage, and Orthopedic Assessment. She currently teaches Massage for people with Cancer. 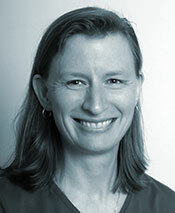 Ellen also has many years of experience teaching Anatomy and Physiology. She is a passionate gardener, baker, and newbie triathlete. Ellen has a B.A. from Wheaton College and an M.B.A. from the University of Southern Maine. "It is a gift to teach the Massage for People with Cancer class at NHITA as I never fail to get as much back from students as I give. It is wonderful to watch students connect the dots as to how they can harness both their technical skills and their compassion to work with people with a cancer diagnosis. I always appreciate the quality of the students that are attracted to our program; they are committed, mature and open to new ideas." Liz began her teaching career in massage therapy after graduating from NHITA. 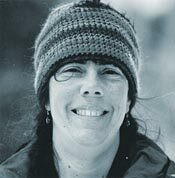 She came to the school with over 20 years of experience teaching at the Hurricane Island Outward Bound School. She is a graduate of Wheaton College in Norton, Mass., where she obtained a BA in English literature and secondary education, and a graduate of CMMC School of Nursing. She works as an RN in a critical access hospital in Maine. Her primary responsibility is in obstetrics and she continues to increase both patient and providers' access and understanding of integrative medicine. Liz is a perpetual student and is pursuing her graduate degree in nursing to become a Family Nurse Practitioner. "I think that most of my life I have been naturally drawn to teaching. As an instructor at NHITA I have the pleasure of helping new massage therapists create a picture of holistic health for future clients as well as themselves." Emily is a proud graduate of NHITA and has returned to teach Anatomy & Physiology. As the owner of a small massage therapy business in Southern Maine, Emily relies on her strong education and knowledge of anatomy & physiology to help her clients find relief and manage pain. Emily has studied with renowned sports massage therapist, George Kousaleous to become a Certified Core Myofascial Therapist. 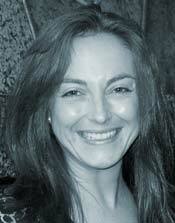 She is also a certified practitioner of Neurokinetic Therapy. Emily has an extensive background in dance and teaches dance classes. She holds a Bachelors degree from Vassar College in Poughkeepsie, NY. 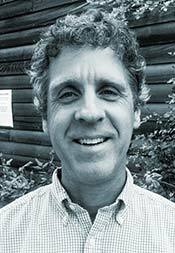 Michael Gelsanliter is a nationally certified massage therapist and a Reiki Master Therapist. He has a private practice in Portland, Maine and also provides oncology massage treatments at the Cancer Community Center in South Portland. Michael is particularly interested in combining Eastern and Western approaches to health and healing. Michael is a graduate of Kenyon College and speaks Italian, French and Spanish. "When I was a student at NHITA, I felt grateful to be in an environment with such dedicated teachers who gave me a clear and comprehensive understanding of how the body functions on a physiological level. Their knowledge and care informed how I moved into my own practice. It is a pleasure to teach at NHITA - sharing the skills that I garnered both as a student and as an ongoing practitioner." 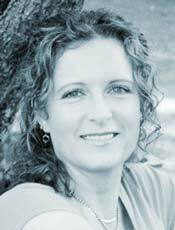 Andrea Johnson is a certified, licensed massage therapist having graduated from NHITA in 2011. She has been involved in gymnastics, first as a student from a very young age, and then as a coach for the last 20 years. In 2007 she became a certified mat instructor in rehabilitation Pilates. She is also a coach for soccer, basketball, and softball for the local recreation department. Andrea's fascination with the human body has made massage a smooth transition. 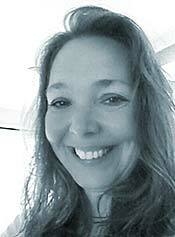 She instructs Circulatory massage and Lymphatic Drainage massage at the Bridgton, Maine school. "Teaching anything, whether it is in a classroom or in the gym, is so gratifying to watch as students begin to understand and make connections with what they have been learning, and then apply and feel their accomplishments." 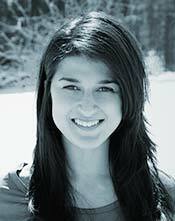 Janna is a practicing physical therapist in Massachusetts and New Hampshire. 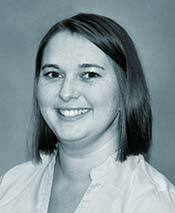 She specializes in manual therapy in both the pediatric and orthopedic settings. 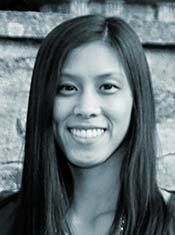 In addition to being a NHITA graduate, she has a Bachelor's degree in Exercise Physiology, her Masters and Doctorate degrees in Physical Therapy from the University of Massachusetts Lowell. She also holds a Master's degree in Management from Emmanuel College. Having designed and taught numerous courses such as Anatomy & Physiology I, II, Kinesiology I, II, Neurology, Muscle Physiology and Clinical Assessment at the Hudson campus for many years, Janna now serves as an educational consultant to the school. "Anatomy is the foundation of Massage Therapy. I am honored to provide the springboard for students to excel in their career as a Massage Therapist. The NHITA program provides students with a solid background in science and a wide repertoire of Massage Therapy techniques, all in a positive and nurturing environment." 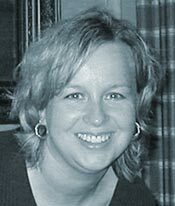 Gretchen has a degree in Elementary Education and pursued massage therapy as a second career. She has been with the school since 2001 after she graduated from the program. Gretchen is very creative in her teaching and utilizes experiential learning whenever possible. "I am very excited about the education I received at NHITA. I liked the well-integrated focus on science and clinical experience as well as the very tangible aspect of the hands-on experience. I feel I am meant to be a teacher and appreciate being able to share the education I found so valuable at this school." Annette is a nationally certified NHITA graduate and holds a bachelor's degree in psychology from Salem State University, Salem, Massachusetts. She instructs hydrotherapy, trigger point, neuromuscular technique, muscle physiology, pathology and assessment at the Bridgton campus. 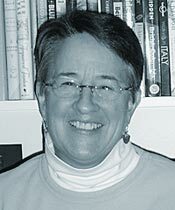 As a member of the NHITA community, she pursues a real-approach in her teaching by maintaining an active practice in North Conway, New Hampshire. "Each day I am grateful that I have found my passion in massage therapy. I consider myself very fortunate to have been given the education that NHITA gave me and to now have the opportunity to share it as part of the faculty is a gift. I love to witness how students evolve through their education and be part of the transformation from start to finish." Julie is a graduate of NHITA. She has been a professional member of the AMTA since 2012. She holds a bachelor's degree in Athletic Training from Colby-Sawyer College and has maintained a NH license for massage therapy. Julie maintains a practice in Nashua, NH that she started in 2012. She is very eager to pass along her knowledge and experience from her sports medicine background and prepare students to integrate this technique for athletic injuries and complex conditions. "I love school and learning. We need each other to build and grow to reach our full potential to be the best therapists we can be and I am honored to be a part of that journey." Linda has been practicing Reflexology since 2006; she earned her national board certification through the American Reflexology Certification Board. She is an active member of various Reflexology organizations and has served in a variety of volunteer positions, including the Executive Board. Linda shares her passion about the benefits of Reflexology by participating in community outreach programs. Prior to pursuing a career in Reflexology, Linda provided service as a corporate accountant for many years after earning a Bachelors in Applied Science Accounting degree. "I have great passion and gratitude for the opportunity to share with NHITA student's knowledge and insights that I have gained in my professional experiences as a Certified Reflexologist and as a Corporate Accountant. It is a joy for me to witness the expansion in the student as they develop their knowledge and confidence on the subject. My experience as an instructor at NHITA has allowed me to expand into an aspect of myself that is deeply rewarding and inspiring." Dr. Siu is currently a practicing physical therapist in Massachusetts with a special interest in geriatric care. Her love for anatomy and desire to pursue a healthcare occupation started after enrolling in a high school anatomy class. 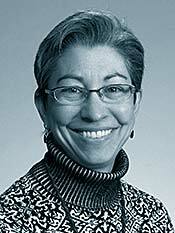 She attended Rutgers University where she has served as a human anatomy teaching assistant in several cadaver labs. She graduated with a BS in Exercise Science/Applied Kinesiology and minors in Biology and Psychology. She moved on to perusing a physical therapy degree to improved mobility and increased the quality of life in others. She graduated with a Doctorate of Physical Therapy from MCPHS in 2016. "The greatest thing about teaching is helping someone understand something new in a different way. Teaching a subject I am passionate about is extremely fulfilling, but the real reward is seeing someone apply what I have been able to teach them."